On the fence about the best technology? If you are deciding between a new wide-screen TV and a video projector, there are a few factors that could pinpoint the best choice for your home and preferences. Your buying budget. 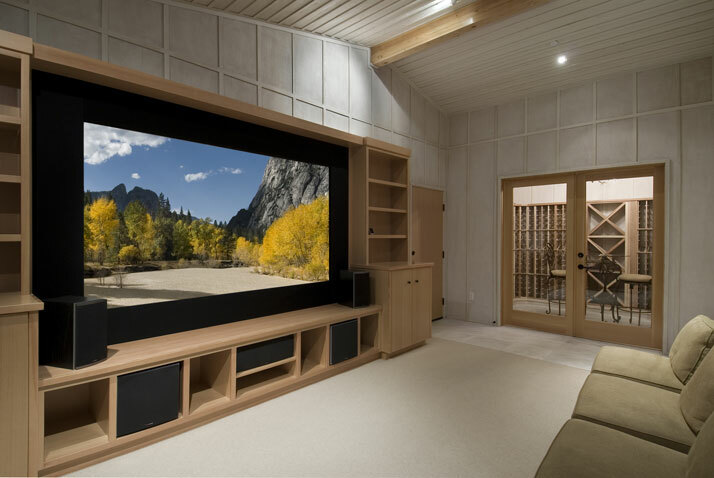 If you are enhancing or adding to your home theater, both wide-screen TVs and video projection systems are prudent investments. You may find that a video projector is cheaper than upgrading your television, though you will also need to purchase or create a screen for viewing. Ease of installation. It will be easier for you to install a new wide-screen TV than it will be to set up a video projection system and screen. Unless you possess some tech savvy, you may even want to have your system professionally installed for best results and optimal viewing. The viewing experience. When it comes to the best viewing experience between wide-screen televisions and video projection systems, you may be surprised to learn that both are comparable. Technology has come a long way and you can expect an excellent resolution and clear screen images, as long as you pay attention to the lighting in the space. For dark rooms, video projection is unsurpassed; in rooms where light or light-colors are prevalent, you will get a better view with a TV. Consider an investment for your home theater system and buy a new wide-screen TV or video projector. Depending on your living situation, technology, and preferences, you may find one surpasses the other in terms of augmenting your existing system and enhancing your overall viewing experience.